One of our highest testimonial is the number of repeat military member who have stored with us deployment after deployment since '92. 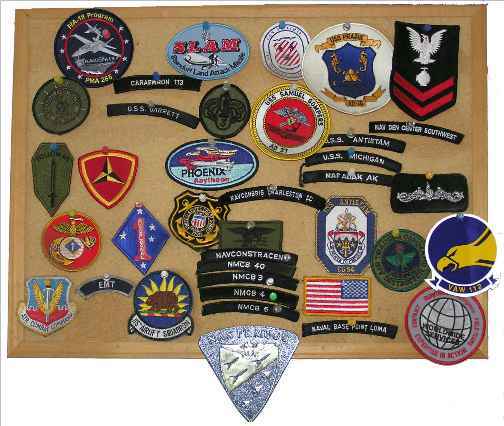 Below are the patches ad decals many of them. Recognize your unit? Click to see who is there. We have the best Security Record of any Storage Facility in the area. 6: A-1 SURFSIDE SELF STORAGE is located on LEFT side of street. Look for large American Flag at VFW. Go down drive 200 feet. 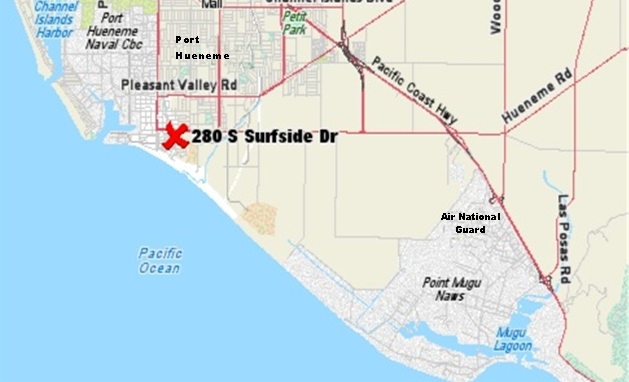 Turn right onto Ventura Road from either Sunkist, Bard or Pleasant Valley gate. Follow Surfside Drivealong beach past pier. Continue as Surfside curves left. One block from Beach, just past railroad track, look for Large American flag on right side of street. Our sign and driveway is on the right.